Y'adore Fashión: Looks for Less! Fashión’ entitled ‘Looks for Less’. So let’s jump right in! 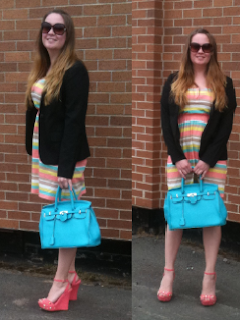 Bag and Shoes: 39.95 each from Shoedazzle. because of the chain across the front, another option would be ‘Grenada’. hand store if you want to go super thrifty! And if you are thinking about joining Shoedazzle, using thislink will get you 20% off your first purchase!